New FDA Rules on E-Cigarettes: What Will They Mean for Merchants? For fear of “hooking a new generation on tobacco,” the U.S. Food and Drug Administration announced sweeping changes for the electronic cigarette industry on Thursday. The 499-page document detailing the FDA rules on e-cigarettes included reforms on age limits, manufacturing and ingredient details and significant more oversight by the FDA. E-cigarette merchant accounts have consistently been among the top-selling industries for Instabill, which primarily deals with online e-cigarette and vaping businesses directly affected by the new FDA rules on e-cigarettes. FDA Rules on E-Cigarettes: What are the Changes? Existing e-cigarette merchants have two years to apply to the FDA for licensing – with an additional year allotted to the FDA to review the application – but can remain operational. Sales of e-cigarettes are banned to anyone under the age of 18. Persons perceived to be under age 26 will have to show valid ID for purchase. What the Consumer Finance Protection Bureau is to high risk industries, the FDA is to the e-cigarette industry. The FDA will continue to maintain a keen eye on e-cigarette merchants for years to come, and further regulations – perhaps raising the legal age to 21 or restrictions on flavors – could be forthcoming. Can You Buy Me Beer? It is no secret that e-cigarettes are popular among high school-aged youths. With the FDA’s age limit on e-cigarettes, it is certain to have a ‘black market effect,’ similar to when the drinking age was raised from 18 to 21. If not already, a culture of those of age buying e-cigarettes for those underage will grow. Will Smaller and Startup E-Cigarette Merchants Suffer? An excellent point came up in a recent New York Times article regarding small business e-cigarette merchants. Larger manufacturers of e-cigs, including those under big tobacco companies, can afford legal teams to navigate the reforms. Many small e-commerce merchants likely cannot. Could this be the death of small and startup e-cigarette businesses? Despite the new FDA rules on e-cigarettes, Instabill will continue to offer the most competitive rates and fast approvals for e-cigarette merchant accounts, as it has done the last 10 years. 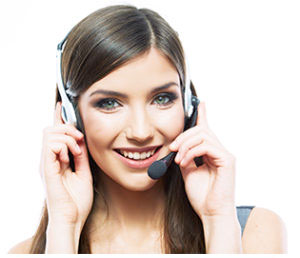 Merchant account experts are available by clicking on the live chat option below or by calling direct at 1-800-318-2713.